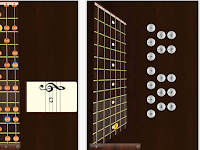 Earlier this week somebody emailed me asking for apps to teach guitar. I asked a colleague with me here in the university who is a music teacher and she recommended the following apps. I am not sure whether these are the best apps out there or not but at least they have been used with students and proved to work good. Have a look and let us know what you think of them. 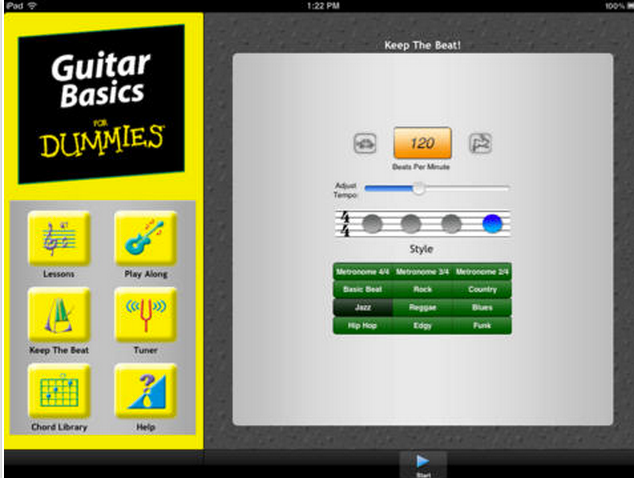 If you have other suggestions for iPad apps to teach guitar and music please share them with us in the comment form below and I will add them to the list. 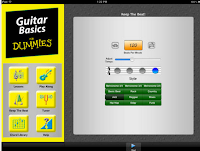 With over 140 video tutorials, Guitar Lessons provides the perfect foundation for mastering the instrument. 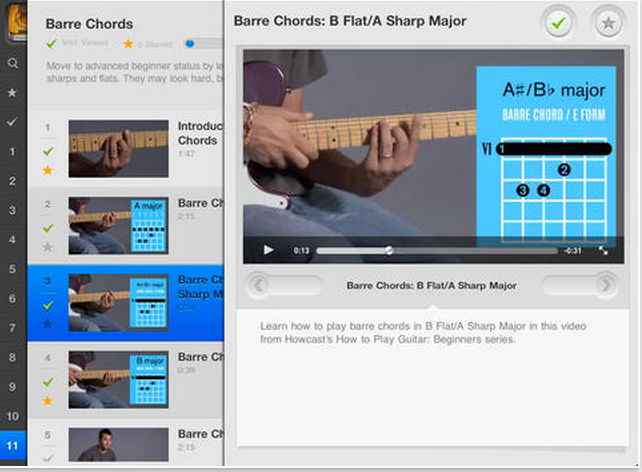 From learning what a fret is and the proper way to hold and tune a guitar to scale patterns and playing techniques like strumming and finger-picking, Guitar Lessons from Howcast helps you learn with short, simple, clear videos and progress tracking. 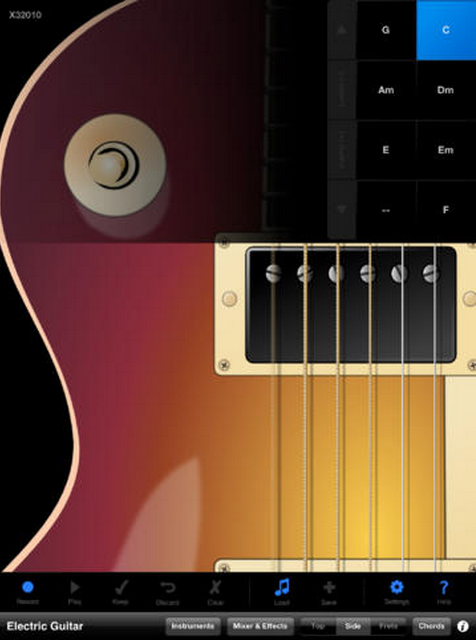 You’ll be rockin’ out with power chords and other advanced chord-playing tricks in no time. 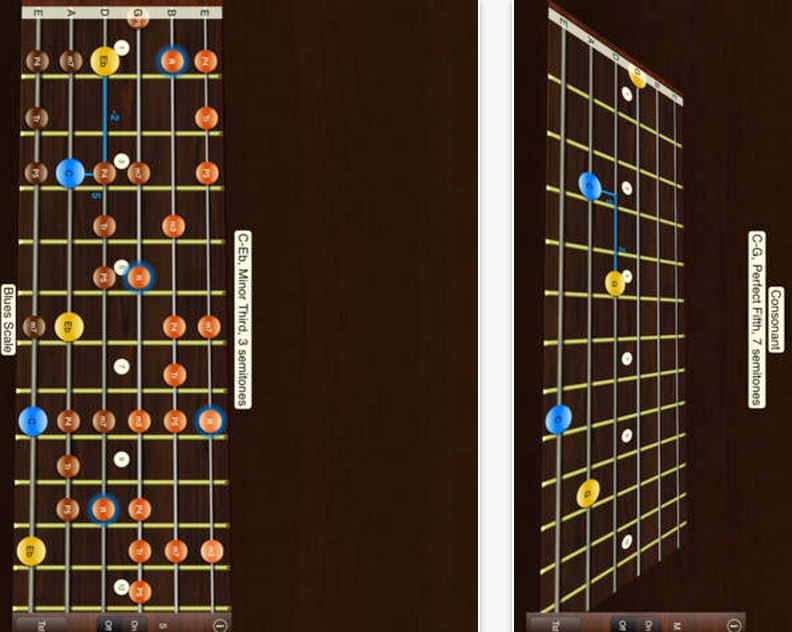 Play guitar and other string instruments on your iPad. Instruments included are acoustic guitar, classical guitar, electric guitar, mandolin, banjo, ukulele, steel drum / pan, and drum pad. The instruments have the same size as the real things thanks to the big iPad screen. 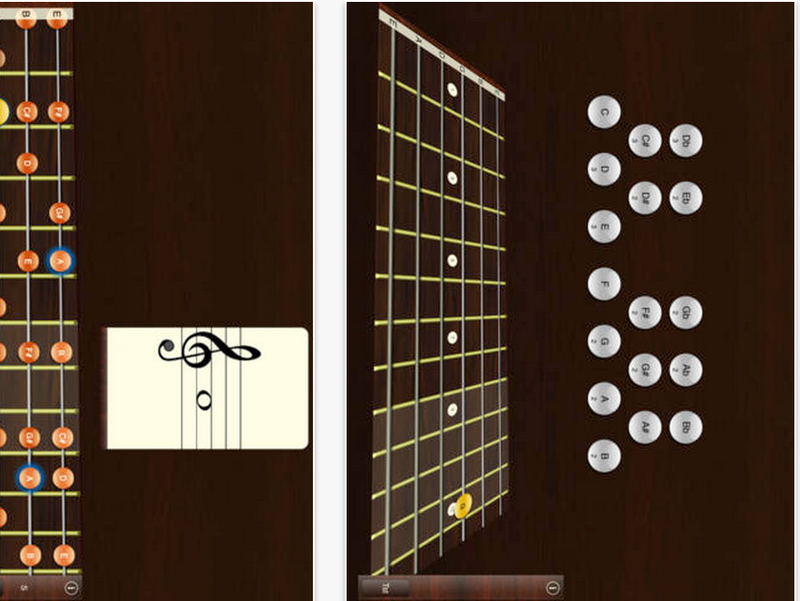 Now you can play different string instruments easily with this music app without needing to know all the chords. Won't be painful to your fingers when switching chords. 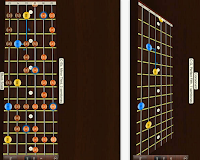 This app helps you to instantly find the notes on every part of the fretboard with a special focus on position playing. With improved sight reading skills you will find it easier to concentrate on other aspects of music such as harmony, rhythm etc. One of the first steps in ear training is recognizing intervals. Knowing what the distance is between two notes. Because every melody, chord or scale consists of a series of intervals, this is a very useful and also fundamental skill in music.